If you have bandwidth-heavy workloads that you wish to run in AWS, AWS Direct Connect reduces your network costs into and out of AWS in two ways. First, by transferring data to and from AWS directly, you can reduce your bandwidth commitment to your Internet service provider. Second, all data transferred over your dedicated connection is charged at the reduced AWS Direct Connect data transfer rate rather than Internet data transfer rates. Network latency over the Internet can vary given that the Internet is constantly changing how data gets from point A to B. 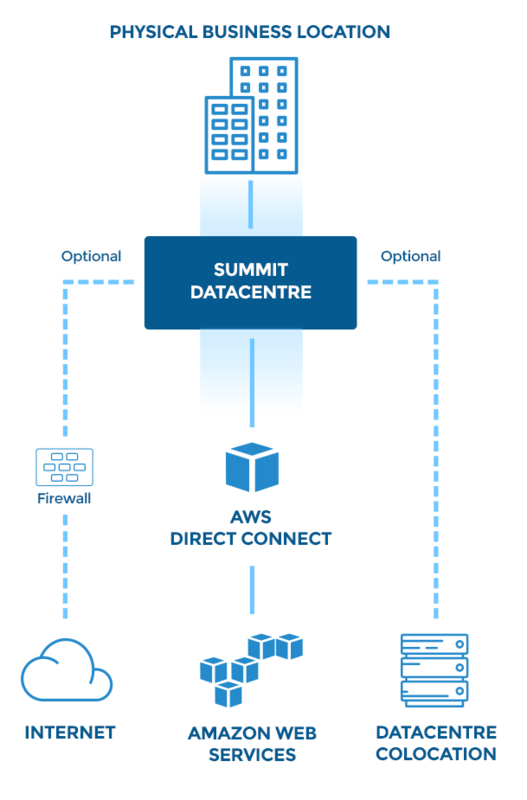 With AWS Direct Connect, you choose the data that utilizes the dedicated connection and how that data is routed which can provide a more consistent network experience over Internet-based connections. AWS Direct Connect is a network service, and works with all AWS services that are accessible over the Internet, such as Amazon Simple Storage Service (Amazon S3), Elastic Compute Cloud (Amazon EC2), and Amazon Virtual Private Cloud (Amazon VPC). You can use AWS Direct Connect to establish a private virtual interface from your on-premise network directly to your Amazon VPC, providing you with a private, high bandwidth network connection between your network and your VPC. With multiple virtual interfaces, you can even establish private connectivity to multiple VPCs while maintaining network isolation. AWS Direct Connect makes it easy to scale your connection to meet your needs. AWS Direct Connect provides 1 Gbps and 10 Gbps connections, and you can easily provision multiple connections if you need more capacity. You can also use AWS Direct Connect instead of establishing a VPN connection over the Internet to your Amazon VPC, avoiding the need to utilize VPN hardware that frequently can’t support data transfer rates above 4 Gbps. You can sign up for AWS Direct Connect service quickly and easily using the AWS Management Console. The console provides a single view to efficiently manage all your connections and virtual interfaces. You can also download customized router templates for your networking equipment after configuring one or more virtual interfaces.